St. George dismounted, the surprised knight. The Baptist and Saint Onuphrius. 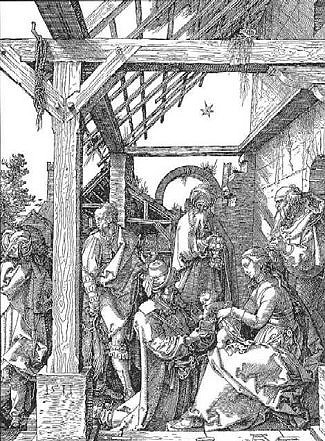 The Presentation in the Temple is outrageous, as is the Adoration of the Magi, and the Holy Family with Joachim and Anna, by virtue of its independence of architecture or outbuildings or tree. Fortuna, a careless arbitrary slattern with goad and chalice and globe.